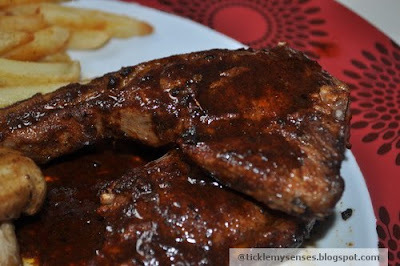 Tickle My Senses: Spicy Chilli and Thyme Lamb Chops. 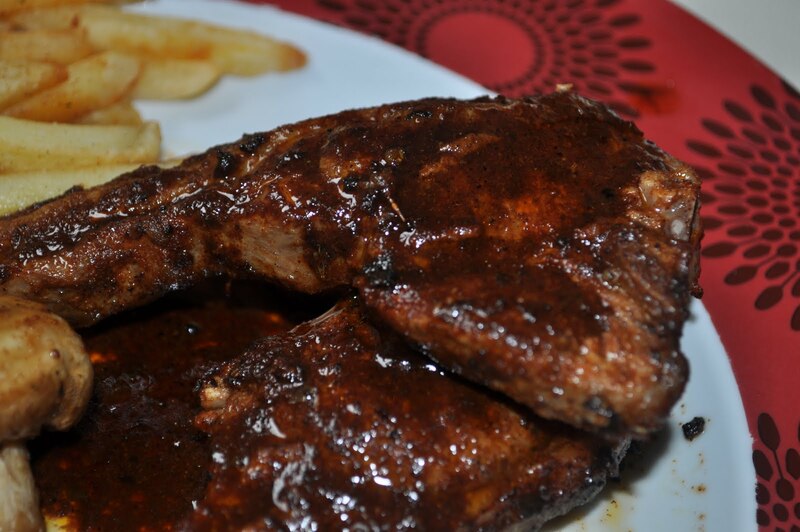 This hot and spicy Lamb Chops/ Cutlet preparation is lip smacking good. Cook it over a coal barbeque or in a hot griddle pan and enjoy its juicy and wholesome flavour. To make it I marinated the Chops with some cayenne pepper, paprika, garlic powder, lemon juice and fresh thyme herb. Left it sitting for an hour and then pan fried it in a griddle pan for 2-3 minutes each side on a high heat till done. Then prepared a quick and easy sauce to go with it. Suitable for a warm summer's day with a fresh salad and herbed baby potatoes/potato wedges. Mix all the marinade ingredients together, sprinkle and pat down over the chops. Cover and marinate for an hour or longer if you can. Place the chops on a hot griddle pan fat side down first to render the fat down and turn it crispy then fry for 2-3 minutes on each side or until done to your liking. Remove from the pan and allow to rest on a plate for a couple of minutes while you prepare the sauce. For the sauce deglaze the pan in which the chops was cooked in by pour in three tbsps of water into the pan to loosen all the spicy lamb marinade at the bottom of griddle pan, then add the other sauce ingredients. Bring to one boil, pour over the chops. Serve along with fresh salad and potato wedges.